If you live anywhere near Wisconsin (or within close proximity to an airport), the Driftless Folk School is the ideal destination for the sustainably minded who want to learn, well, pretty much anything. Want to learn about fruit tree grafting? Interested in foraging for wild edibles? What about tiny home construction? 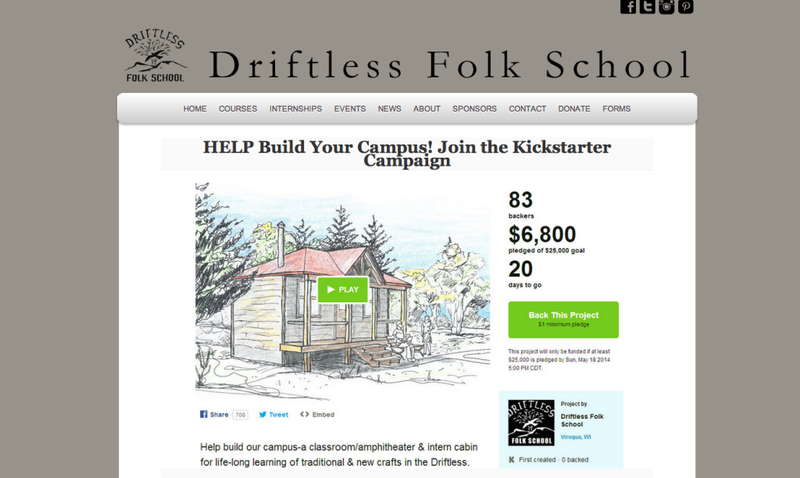 The Driftless Folk School covers all of that and more. Located in La Farge, Wisconsin, this little school is the epitome of what it means to cultivate life. While you’re in the area check out the Driftless Cafe, an absolutely amazing farm-to-table restaurant in the nearby culture hub of Viroqua, Wisconsin.